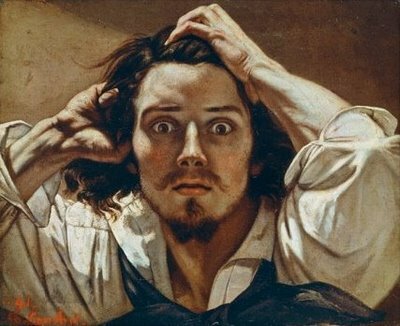 When I first saw a small picture of this self-portrait of Courbet, a couple of years ago, something resonated within me. I Immediately, printed it and put it by my mirror. I guess, in a way, I felt like his haunted expression mirrored my own at the time. Only later would I have the privilege of learning more about the fascinating artist's quirky character and daring works that rocked the foundations of the Parisian Art World in the 1830's. 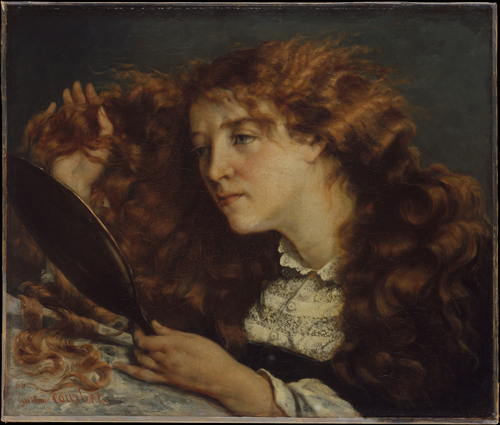 "Show me an angel and I'll paint it..." is the famous quote that explains Courbet's philosophy about art. 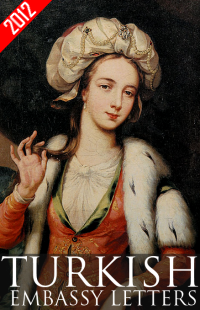 He was the father of Realism and was interested in representing the real world he was living in and not the idealized, moralistic subjects of the Neo-classical history painting of 18th century. Courbet learned how to paint by studying the masterpieces at the Louvre instead of being trained like most artists of the time at the Academie des Beaux-Arts which ruled the art world, through the Salon, the only venue for artists to display their works. Courbet was so revolutionary that he set up his own exhibition right across the street from the Salon and charged people a fee to see his works of art.